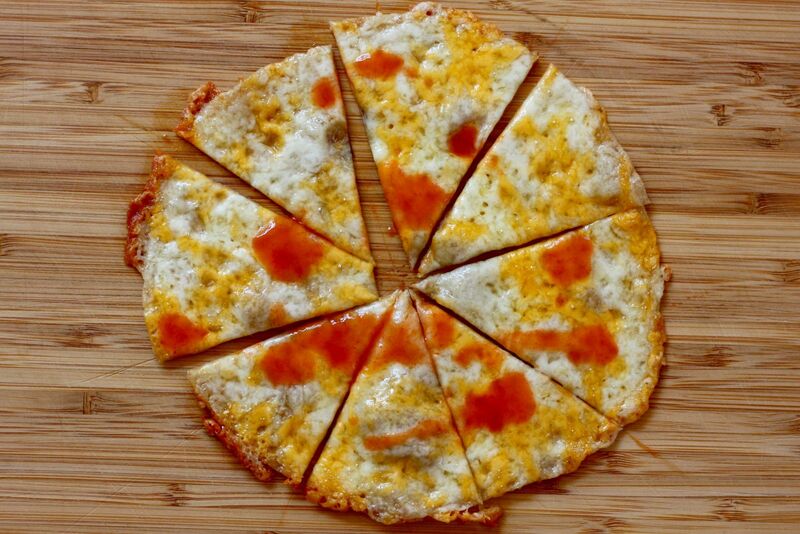 This versatile snack has the open, round look of a pizza, the cheese-and-tortilla ingredients of a quesadilla, and the topping opportunities of nachos. It’s a gooey, melty, and excellent low-carb alternative to all of them, especially because it’s too cheesy to feel like a compromise. Please note that if you make one, everyone will gather in the kitchen suddenly, and then you will have to make a couple more. Turn on the broiler to let it heat up. 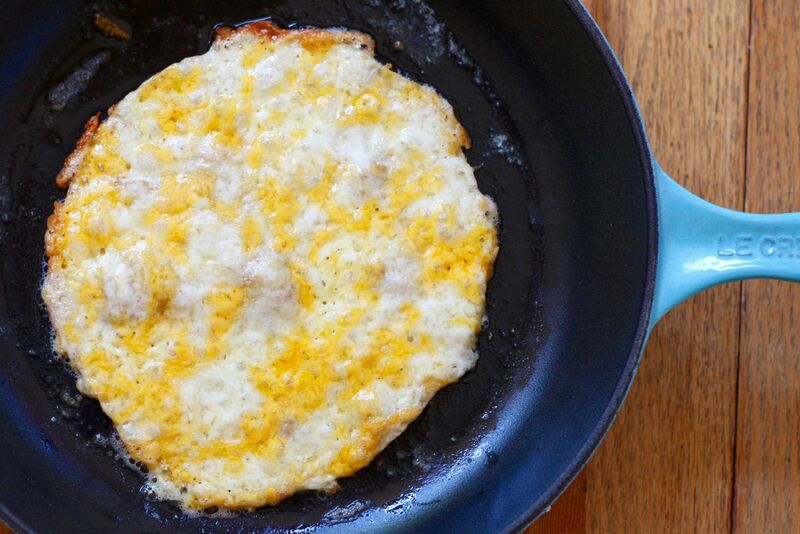 In a smallish ovenproof skillet (ideally cast iron), melt the butter over medium-low heat. When it is bubbly and hot, put the tortilla in the pan. Sprinkle the cheese over the tortilla completely, being sure to extend past the edges so that there is even a little cheese right on the pan. This will make a delicious, crispy edge. Cook the tortilla until the bottom is crisping and browning, using a spatula to peek underneath. Pop the pan under the broiler and cook just until the cheese is bubbling and brown. This will only take a few seconds—definitely under a minute. And honestly? If your skillet isn’t oven-proof, so you need to skip this step, that will work too. Move the quesadizza to a cutting board and use a pizza cutter or a large knife to cut it into wedges. Serve with hot sauce or salsa, if you like. If your pan isn’t ovenproof, or if you simply prefer, you can fold the tortilla in half over the cheese and brown it on both sides, thus making a regular old (but still very delicious) quesadilla. For a “loaded” quesadizza, add a spoonful each of sour cream and guacamole. For an even pizza-ier quesadizza, use the back of a spoon to swirl 2 tablespoons of tomato sauce over the tortilla before sprinkling on the cheese. This will add about 2 grams of carbs to your finished snack.